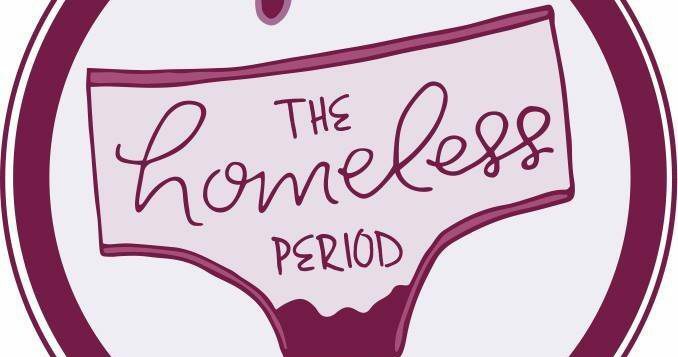 You might not be pleased to find tampons or sanitary pads in your stocking this year, but for homeless women across Southampton and Winchester, that’s the best gift they could ever wish for. 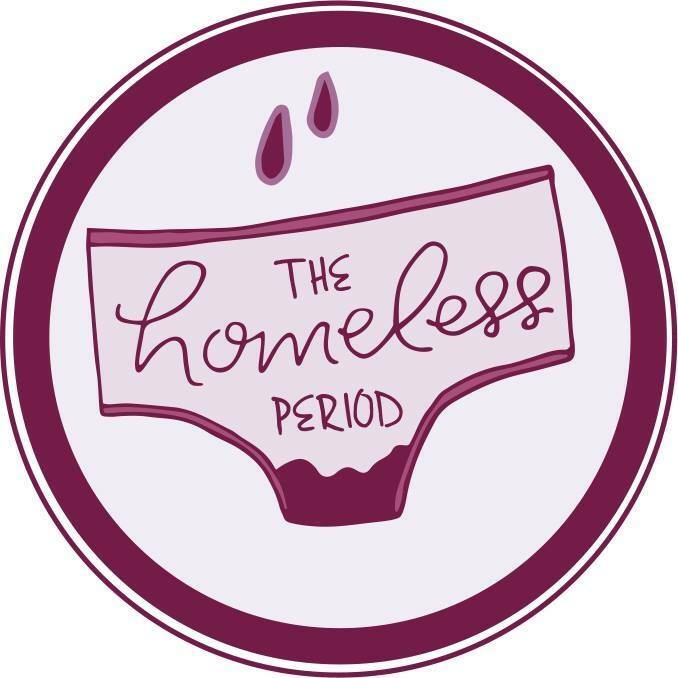 I spoke to the founder of The Homeless Period; Kirsty Bates, back in April 2017, mere days after she decided to set up the campaign to help homeless women all over Southampton to get access to sanitary products. The Festive Period Party is her latest fundraising event, taking place on the 2nd December at the Third Age Centre. 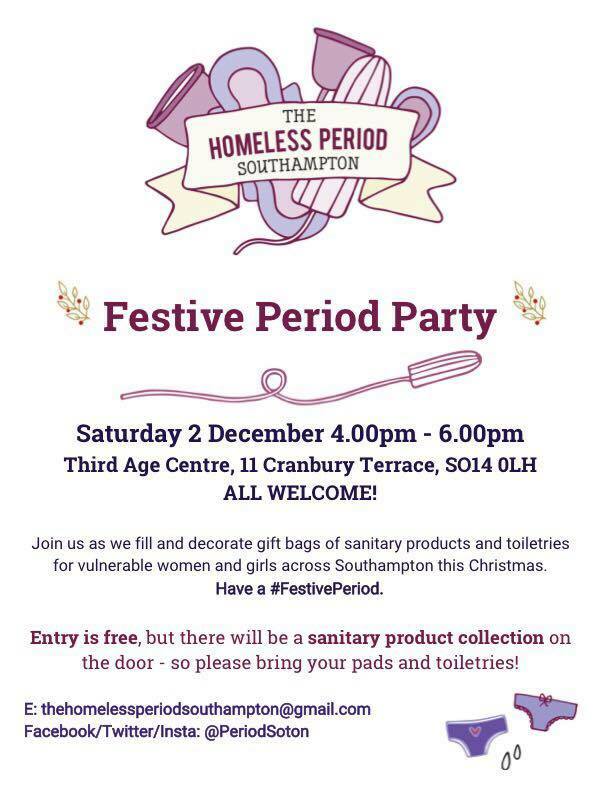 As Christmas fast approaches, why not put some of that festive cheer and goodwill into helping to fill and decorate gift bags full of sanitary products and toiletries? 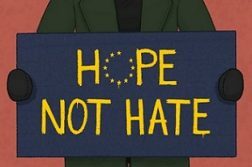 The gift bags will be given to organisations to be distributed amongst those who are in need across Southampton, including refugees, asylum seekers, young people, women’s refuges and local schools. Their aim is to make over 300 bags to be donated. The event is free, but a collection will be available on the door to make donations. The more donations received, the more gift bags can be made. If you want to donate, but can’t make the event, there is an amazon wish list available for you to donate items that are in need here. 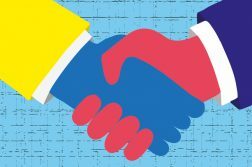 Alternatively, if you live locally, or can drive and are able to help deliver gift bags to charities and shelters on the night after the event, you can register your interest here.